The first vintage of El Sacramento was as recent as 2011, where the bodega was established around 4Ha planted in 1985. In October 2017, Jesús de Madrazo left Contino, where he had made the wine for 20-odd years as part of his family connection to the estate, to switch full-time into this new venture near Laguardia. 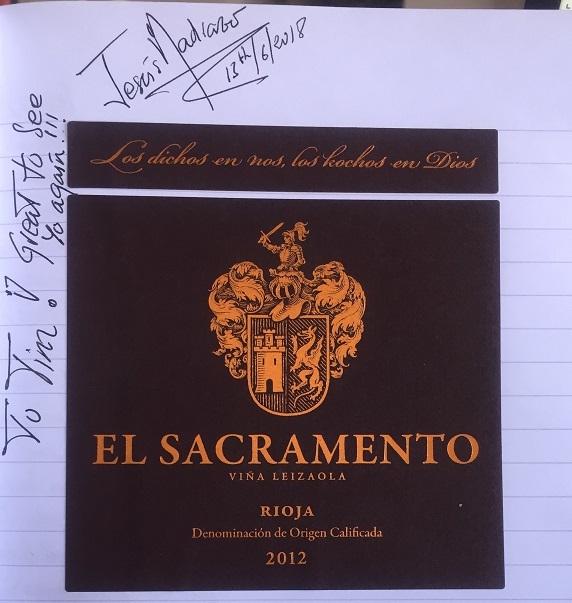 Surprisingly, one month after we visited him there and tasted (and one day after initially posting this profile) Jesús left El Sacramento, so it will remains to be seen where the estate and its wines go, in future. Just 8,000 bottles a year were produced until 2014, when the vineyard holdings doubled to 8Ha and 24,000 bottles, 11.5Ha by 2016 and 18Ha in 2018. 2Ha are being rescued from nematodes with the planting of mustard seeds, so the total should reach 20Ha. Jesús has been working with viticultural consultants to run soil and subsoil mineral analyses, then to compare those with composition of leaves subsequently produced on 4th June 2018. Organic fertilisers and specific additions will then be made, plot-by-plot, to optimise vine growth. When we made our brief visit and tasting, Jesús was still making the wine in a local co-op’s bodega, whilst a new bodega was being completed. There were 82 barrels of 2017 Tempranillo and Graciano maturing separately, 8 of which were still finishing MLF. 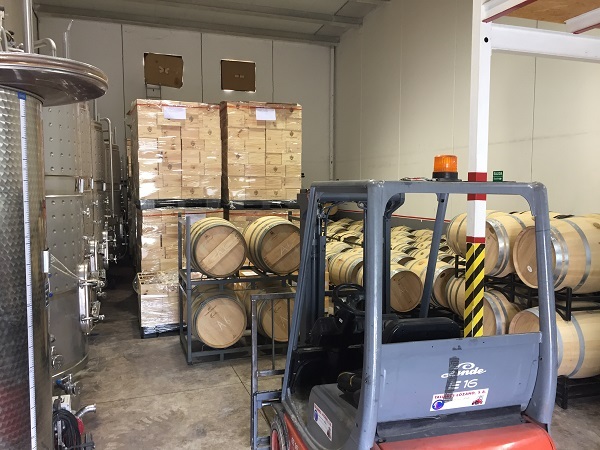 60% of barrels are currently new, 20% 2nd and 20% 3rd use French oak, from the same coopers Jesús worked with for Contino’s flagship Viña del Olivo wine. We tasted a partial-vertical of 2011 and 2013, plus cask samples of 2016 and 2017 that Jesús had prepared for Symposium dinner guests a couple of days later. Interestingly, we had also very much enjoyed a bottle of El Sacramento 2012 over dinner at Los Parajes in Laguardia. Jesús was a little surprised, because he had withdrawn all of 2012 from sale due to too many incidences of faulty wines – not only TCA problems, but oxidation and others. We obviously got lucky and Jesus duly signed the label I’d already put into Book 7! 90% Tempranillo, 10% Graciano. Dry year, but good rain timing during the growing season. 9 months in oak. 94% Tempranillo, 6% Graciano. Near-final blend. 87% Tempranillo, 13% Graciano. Cool year, with harvest starting on 16th October, leading to some botrytis pressure, but Graciano is more resistant, so a higher proportion in the blend. 97% Tempranillo, 3% Graciano. First vintage. Dry and hot.